48 Hours: Who killed Amy Gellert? COCOA BEACH, Fla. -- You have likely never heard of Amy Gellert. She's not a pop singer, a star of a reality show or a television personality. She never got a chance to do any of those things. She never even got a chance to meet the love of her life, get married and have children. 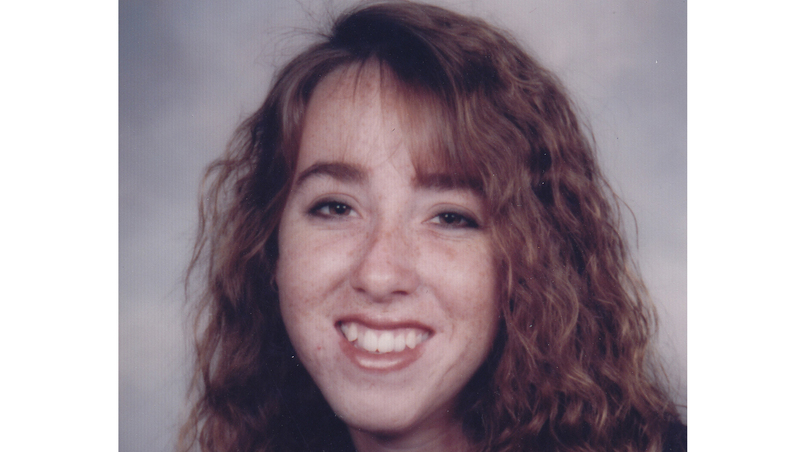 Nearly 21 years ago, someone took Amy Gellert's life before she had a chance to really live. Preview: "48 Hours" Cold Case: Who killed Amy Gellert? The date was March 20, 1994. It was spring break in Cocoa Beach, Florida. The weather was lovely and the beaches were full. Sometime around 8:30 p.m. that evening, Bunny and Bob Lehton, Amy's mother and stepfather, walked into their home a block from the beach and encountered a stranger. The stranger was dressed all in black except for white tennis shoes. He was average height and weight, say the Lehtons, and they guessed he was in his twenties. They couldn't get a good look at him because he was wearing a ski mask, an oddity and a difficult item to obtain in a beach town. He was Caucasian, that much they could tell, and Bunny is convinced he had an accent similar to what is heard in Maryland or Pennsylvania. The intruder forced the couple to crawl to the living room and lay on the floor. If robbery was his motive, he seemed weirdly uninterested. He took money and credit cards from Bunny's wallet, but ignored her jewelry and sparkling ring on her finger. He paced back and forth, back and forth, telling the Lehtons that he was waiting for a ride. They offered him their car, but he declined, especially after he heard that it had a standard transmission. Did that mean he couldn't drive a car with stick shift? The Lehtons, both counselors, tried to keep the intruder calm and they succeeded, until a light came into the front window, indicating that someone had just driven up to the house. Suddenly, the intruder, armed with both a handgun and a dagger, changed in demeanor and furiously began stabbing Bunny and Bob. Bunny was stabbed seven times, mostly in the neck. She still remembers the horrible sound of the knife hitting up against her bones. Bob was stabbed once, deeply, in the back of the head, but he still managed to get up and run out of the house and signal for help from passing cars. Bob didn't see who was driving the car that had pulled up to his home, but the intruder, who had followed him out of the house, did. He began brutally stabbing the driver, who tried to fend him off. That driver? It was Bunny and Bob's 21-year-old daughter, Amy, who had just come home after church services. Amy managed to get away from her assailant and ran across the street for help. She collapsed in a parking lot. It wasn't until police arrived and Bunny Lehton got to the hospital that she heard the terrible news: she and Bob had survived their wounds, but Amy had not. For the past two decades, Bunny and Bob and Amy's two brothers hoped to learn why someone would take a young girl's life. Detectives from the Brevard County Sheriff's office were convinced this was a solvable case, but to this day, no one has been arrested and charged with Amy's death. That could change after this week's "48 Hours" program. Hoping that someone watching may have heard something or may know something that could finally solve this crime, investigators from the Brevard County Sheriff's department are doing something they have rarely done: sharing details with the public in hopes that the perpetrator may be identified and found. Viewers who watch "48 Hours" Cold Case: Who Killed Amy Gellert? will see images of the weapons involved and learn about possible suspects. They will be asked to give investigators any information that they may have that could lead to an arrest. Amy Gellert will always be 21 years old. It is too late to give her back her life, but not too late for justice.